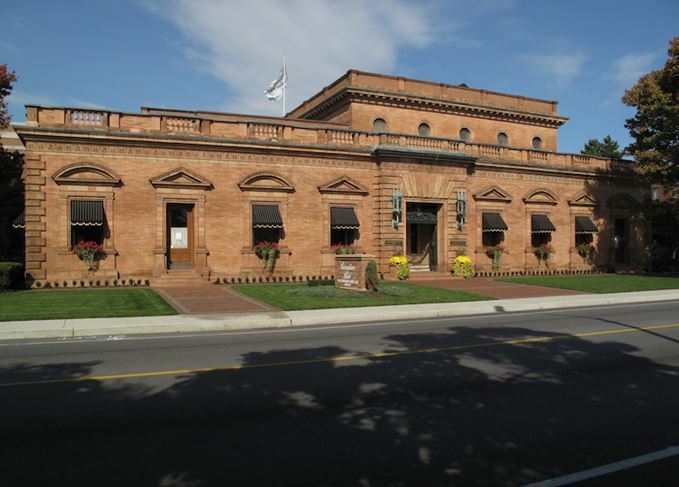 The Canadian Club Heritage Centre is a tourist attraction that draws thousands of visitors every year – not to mention home to an archive of irreplaceable historical whisky documents. News of its closure has sparked shock and dismay but, while officials are keeping tight-lipped about the centre’s future, there may still be hope to save the site from its fate. Davin de Kergommeaux reports. Dismay reverberated throughout Canada – and the rest of the world – when news broke in early February that Laphroaig owner Beam Suntory had decided to close its Canadian Club Heritage Centre in Windsor, Ontario. Tourism officials quickly pointed to the 15,000 visitors the centre hosts annually. City residents fondly recalled the centre’s role as a venue for social events unrelated to whisky. Whisky lovers objected on principle. However, it’s the trove of historical documents housed in the centre’s basement that is really in jeopardy – and this went unnoticed. Still, there may be hope. Neither the Mayor nor Beam Suntory is prepared to offer substantive comment right now, except to say that they are discussing ways to keep the centre open. Whisky was the city’s first major industry, founded in 1858 by Hiram Walker, and its signature brand was always Canadian Club. When the range of brands produced in the distillery was divided in 2005 in a corporate sale, Fortune Brands (now Beam Suntory) ended up with Canadian Club, while Chivas Regal owner Pernod Ricard took ownership of Walker’s distillery. Although the distillery still makes Canadian Club, with just a pen stroke, the brand that built the distillery, and much of Windsor, became a tenant in its own home and competitor Pernod Ricard became its landlord. Mayor Dilkens is right about the importance of Canadian Club to Windsor, yet previous city officials didn’t bat an eyelid when, soon after the 2005 sale, the new owners dismantled the massive neon sign that had trumpeted Canadian Club from atop the grain elevators. That sign had been the only genuine icon of any kind associated with the city. The building will remain; it is protected by a heritage designation. This is encouraging, but only vaguely, given that locals seem more upset about losing a social venue than they are interested in preserving Windsor’s recorded heritage. At first, Beam Suntory responded by promising to ‘invest dollars in local community events and activities, while utilising the historical artefacts in a public forum to ensure citizens of Windsor and around the globe continue to have access to the rich history the brand has in the community’. ‘Our commitment to the Windsor community is just as strong as ever – we are just re-focusing our investments to better cultivate the brand both locally and around the world,’ the company said. But positions are shifting, almost certainly thanks to Dilkens’ efforts. Beam Suntory now affirms: ‘We recognise Canadian Club’s unique role in Windsor’s history, and we understand the passion many Canadian Club fans have for the Heritage Centre. In recent weeks, we have engaged in a constructive dialogue with Mayor Drew Dilkens and others about the future of the Heritage Centre and ways we might be able to work together to keep it open. Preservation of the contents seems to centre on the art collection. But the multi-million-dollar Group of Seven paintings, of which everyone seems so proud, are not pertinent to the history of Windsor or Canadian Club. No, the most relevant collection in that building consists of historical records – scruffy pieces of paper – that receive only a passing mention. Pernod Ricard has its own archives, consisting largely of records that Canadian Club workers were unable to salvage before the distillery was sold. The good stuff is in the basement of the Canadian Club Heritage Centre. However, while Pernod Ricard’s archive is accessible, restrictions implemented by the firm’s lawyers limit its usefulness. The lawyers seem concerned that the records might be used to promote another brand (Canadian Club, one presumes). Workers, whose bonus depends on this year’s sales, are not the most benevolent custodians of a competitor’s records. So, will Pernod Ricard maintain the references to Canadian Club built into the Heritage Centre once Beam Suntory leaves? Perhaps the best hope to preserve the archives would be for Pernod Ricard to take ownership of Canadian Club. It is doing marvels with Canadian whisky brand Wiser’s and, according to one business professor, closing the centre signals that Beam Suntory is losing interest in Canadian Club anyway. Until then, those who value the preservation of history and heritage for future generations should keep their fingers crossed. The Beam Suntory master blender came to whisky late, but now has a wealth of experience. A once-in-a-lifetime tasting of rare whiskies was the highlight of this year’s event. How can it be that in an industry with so much history, Scotch whisky archives are so scarce? Why did the Speaker of Canada’s House of Commons choose a Speyside malt as his ‘official’ whisky? The blended Scotch whisky has been redesigned to appeal to entry-level consumers.